Develop fitness, self reliance and outdoor skills at Strathcona Park. Learn the fundamentals of leading and guiding outdoor pursuits. Enjoy spectacular wilderness terrain — from glaciers to rivers and lakes. 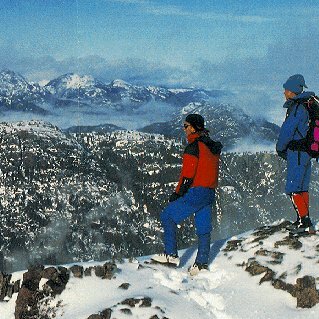 Travel picture of Atop the summit.